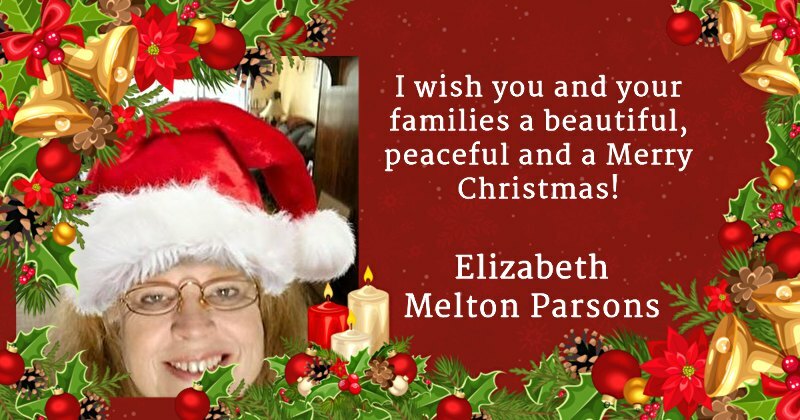 Categories: blogging, holidays, photos | Tags: blogging, eg parsons, elizabeth melton parsons, holidays, image, photo | Permalink. Merry Christmas, Greg and a very happy New Year! Wishing you the same, Elizabeth! And to you, dear Elizabeth! My best to you and your loved ones. Thanks a lot for the kind sentiments, Elizabeth. I would like to wish you a peaceful Mery Christmas as well. I know this one is going to be different for you. Perhaps, even lonely, but God is able. God bless. Happy Christmas and a wonderful New Year, Noel. Thank you! I hope you have a happy and healthy New Year!